Professor Mark Onslow is the Foundation Director of the Australian Stuttering Research Centre at the Faculty of Health Sciences, The University of Sydney. His background is speech pathology, in which field he holds a Bachelor of Applied Science, Master of Applied Science, and a Doctorate. During the period 2004-2008 he was a Principal Research Fellow of the National Health and Medical Research Council of Australia, being the only speech pathologist to have received that distinction. In addition to his academic appointment at The University of Sydney, he is an Honorary Professor at the University of Queensland, Australia, Adjunct Professor at the University of Canterbury, New Zealand, and Retained Professor at the National Taipei College of Nursing, Taiwan. Professor Onslow leads a team that has twice been awarded multi-million dollar research grants from the National Health and Medical Research Council to develop treatments for stuttering. Professor Onslow’s research interests are the epidemiology of early stuttering in preschoolers, mental health of those who stutter, measurement of stuttering, and the nature and treatment of stuttering. The Australian Stuttering Research Centre has published the majority of the world’s speech pathology clinical trials for stuttering treatment. Recently, work has begun at the Centre to adapt successful stuttering treatments for the internet. 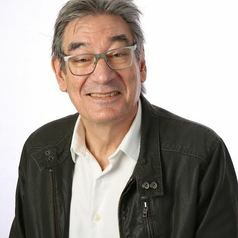 He has taught university courses in stuttering management in three countries, and currently teaches research methods to doctoral students at the Australian Stuttering Research Centre. He is a member of the international Lidcombe Program Trainers' Consortium and is in constant demand as a speaker internationally. Professor Onslow has authored 250 publications dealing with stuttering including journal articles, books and chapters.